The company provides its clients only with profitable and trusted services and constantly develops its technologies. So the number of traders convinced of InstaForex reliability increases. It is also asserted by many prestigious awards presented on this web page. In 2015, InstaForex won the Best Broker in Asia Pacific 2015 nomination according to Shanghai 2015 Forex Expo. The company also holds such awards as Best Retail FX Provider, Best Broker in Eastern Europe, Best Retail Forex Broker, Best Broker in CIS etc. 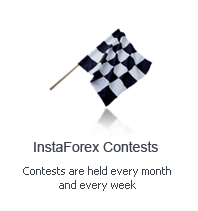 The list of InstaForex awards is a proof of professionalism, stability and success of the broker.